For ICT vendors, distributors and resellers, Lupprians delivers a comprehensive portfolio of logistics services. Below is an overview of these services. If you would like to find out what we can do for you, please contact us at 0294 458 121. We offer complete customized transportation for your IT equipment. 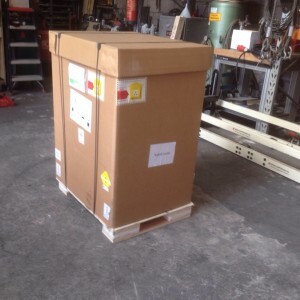 Not only do we provide transportation of your valuable systems, but we can also assist you in placing the systems in server and storage racks and assist with the cabling of the server room or data center. 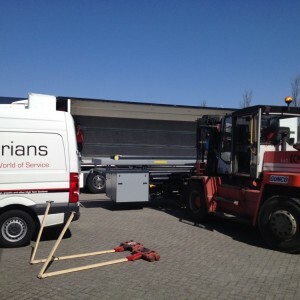 You can use Lupprians’ services to expertly relocate and transport your sensitive IT equipment. Would you or your customer like to move an entire data center? 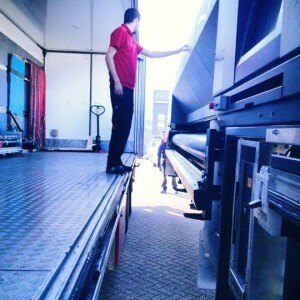 We have the knowledge and expertise to not only provide the transport for you, but we can arrange the entire process including logistic project management for you – or arrange it together with you. 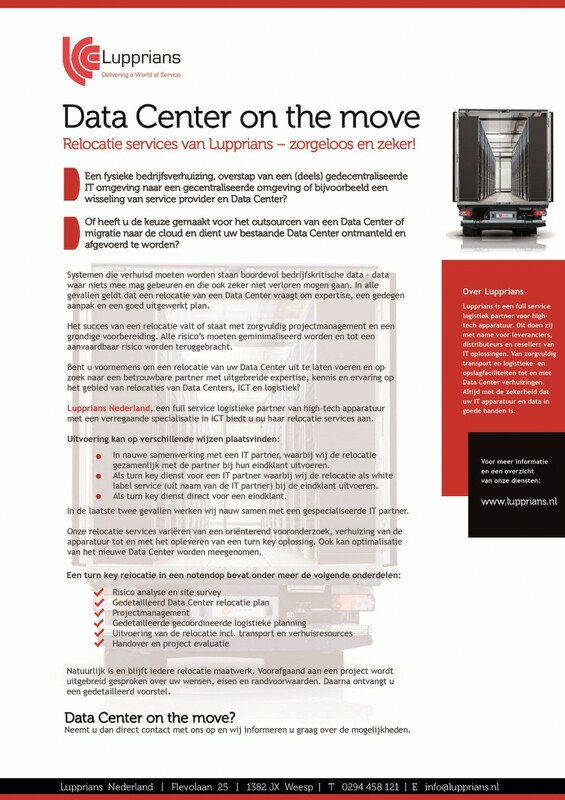 If you would like more information about the relocation services we can offer you, please click here to view our comprehensive brochure (In Dutch). Will the IT system fit through the door or into the elevator? What if the server room or data center is on the 7th floor? Where will the system be set up and does that area meet all the necessary requirements? These are the types questions that Lupprians takes into consideration when conducting a site survey. 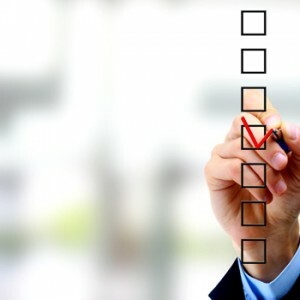 A site survey allows us, and you, to anticipate what the situation will be concerning the physical location, requirements, the use of the materials and how the people work with and around the equipment. With a site survey, we are well-prepared for the transportation and installation, and thus avoid any unpleasant surprises. Suppose your IT system has been received by Lupprians but you would like to first preconfigure, install or perform a DOA check on the equipment. Lupprians offers you this opportunity. 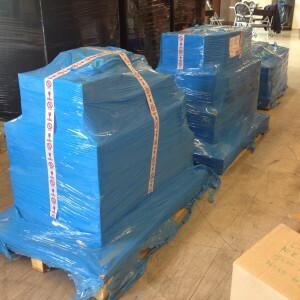 We have a fully equipped in-house logistics facility where your engineers and consultants can work with the equipment. Many of our partners do not have their own warehouses where purchased systems can be (temporarily) stored before delivery or installation. Lupprians offers its partners storage facilities where IT systems can be stored temporarily until the project is complete and delivery or installation of the equipment can take place. After deliveries of IT equipment, Lupprians always takes the packaging materials away so that the customer is left with a clean area. Furthermore, Lupprians is able to cater to situations where entire data centers need to be moved and special (foreign) transport and packaging is required.